Calling India the diabetes capital of the world, the International Journal of Diabetes in Developing Countries says that there is alarming rise in prevalence of diabetes, which has gone beyond epidemic form to a pandemic one. The number of diabetic patients in India more than doubled from 19 million in 1995 to 40.9 million in 2007. It is projected to increase to 69.9 million by 2025. Currently, up to 11 per cent of India’s urban population and 3 per cent of rural population above the age of 15 have diabetes. Diabetes affects all people in the society, not just those who live with it. Various studies have shown that the high incidence of diabetes in India is mainly because of sedentary lifestyle, lack of physical activity, obesity, stress and consumption of diets rich in fat, sugar and calories. The most prevalent is the Type 2 diabetes, which constitutes 95 per cent of the diabetic population in the country. In this, patients are non-insulin dependent and they can control the glucose in their blood by eating measured diet, taking regular exercise and oral medication. Worldwide, millions of people have Type 2 diabetes without even knowing it and if not diagnosed and treated, it can develop serious complications. Type 1 diabetes (insulin dependent), however, is not preventable. Globally, diabetes affects 246 million people, which is about 6 per cent of the total adult population. It is the fourth leading cause of death by disease and every 10 seconds a person dies from diabetes-related causes in the world. Each year, over three million deaths worldwide are tied directly to diabetes and even greater number die from cardiovascular disease. Modification in lifestyle and proper medication can delay and prevent diabetes in highrisk groups. Eating whole grain carbohydrates and moderate exercise and avoiding excessive weight gain can eliminate over eighty per cent of Type-2 diabetes. 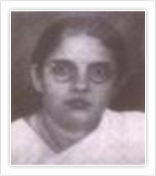 Prof. M. Viswanathan established Dr. Madhaviamma Charitable Trust in March 1989 in memory of his mother, Late Dr. (Mrs) Madhaviamma. The major objective is to ensure that individuals suffering from diabetes and belonging to the underprivileged and economically disadvantaged segment of the society receive modern diabetic care. 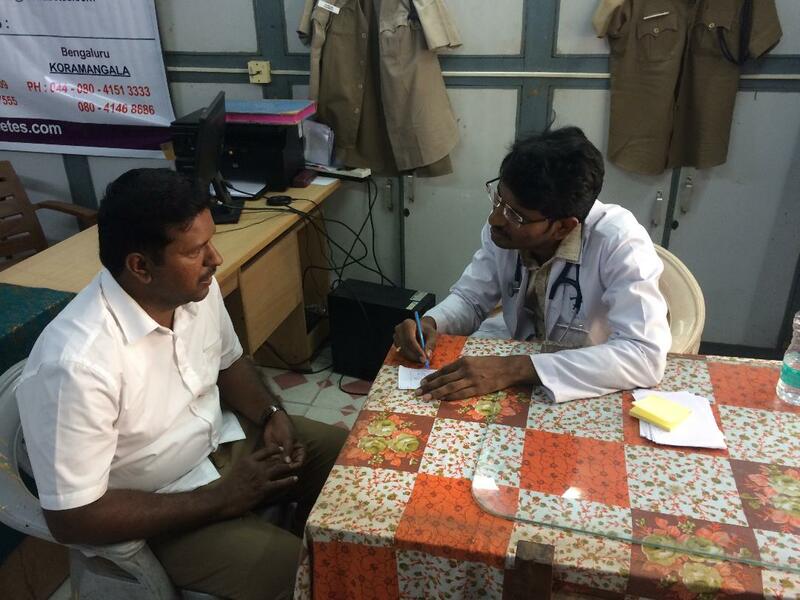 The Dr. Madhaviamma Free Diabetic Clinic has grown rapidly and more than thousand patients attending the clinic receive the same treatment as the other patients who can afford to pay. 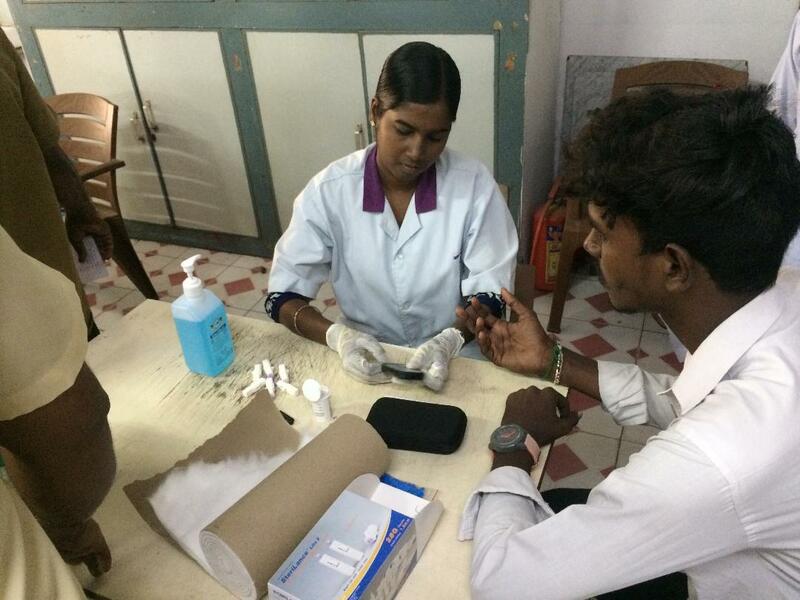 The necessary laboratory investigations and drugs including insulin are provided free of cost to the poor patients. 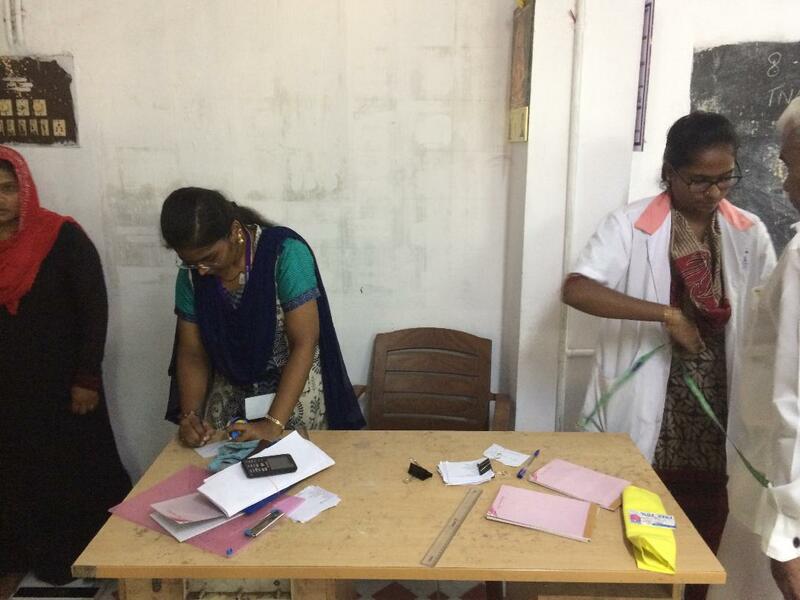 The entire expenditure is met by the Dr. Madhaviamma Charitable Trust. 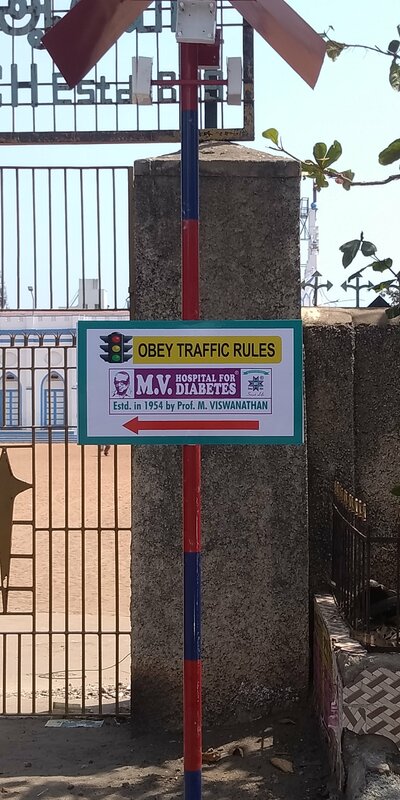 Diabetes is the most common cause of amputation which is not the result of road traffic accident, and is responsible for over one million amputations each year. People with diabetes are 15 to 40 times more likely to require a lower limb amputation compared in the general population. Every 30 seconds a person with diabetes loses a leg somewhere in the world. In India patients with diabetic foot infection requiring an amputation usually have to pay Rs. 20,000 to Rs. 30,000. Further the cost of an artificial limb is Rs.5,000 to Rs.10,000. 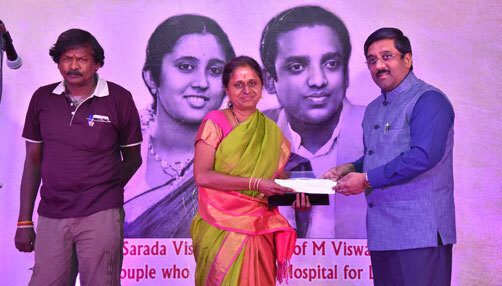 The Trustees of the Dr. Madhaviamma Charitable Trust have decided to create a separate fund for helping people who have undergone amputation of the leg due to diabetes. This financial support would either be part or full funding of providing an artificial limb to some patients or for the treatment of subsequent infection in the other leg in some patients. The financial support will depend entirely on the decision of the trustees or the committee appointed by them to scrutinize applications. Contributions to Dr. Madhaviamma Charitable Trust are exempted under Section 80G of I.T. Act. 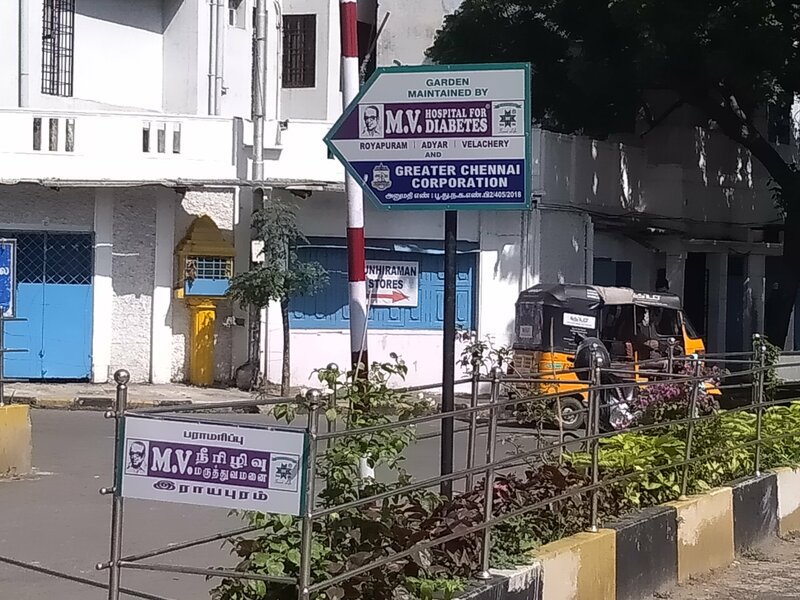 Contributions to the Amputation Fund could be sent in favour of Dr.Madhaviamma Charitable Trust - Diabetic Amputation Support (DAS) Fund. The Trustees of this Charitable Trust hope that this initiative will help some people with diabetes from a lower socio-economic background get proper care for their diabetes and support when they get into complication like an amputation. 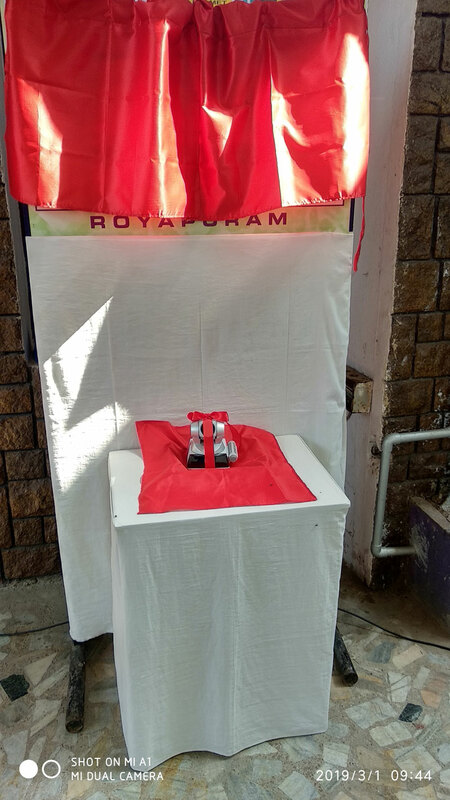 On the occasion of Death Anniversary of our Founder Prof M Viswanathan on 01 March 2019 we organized few social activities in the hospital premises. 2. 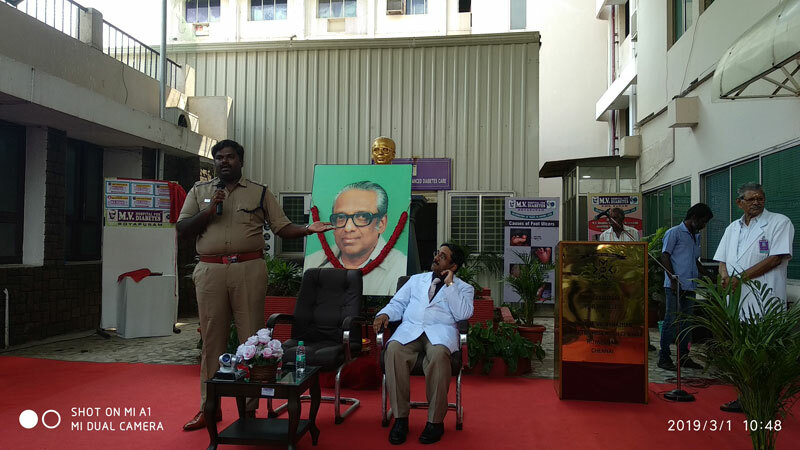 Launched the North Chennai Police men Diabetes Prevention Programme as a part of the COPS Phase 2 study. 3. 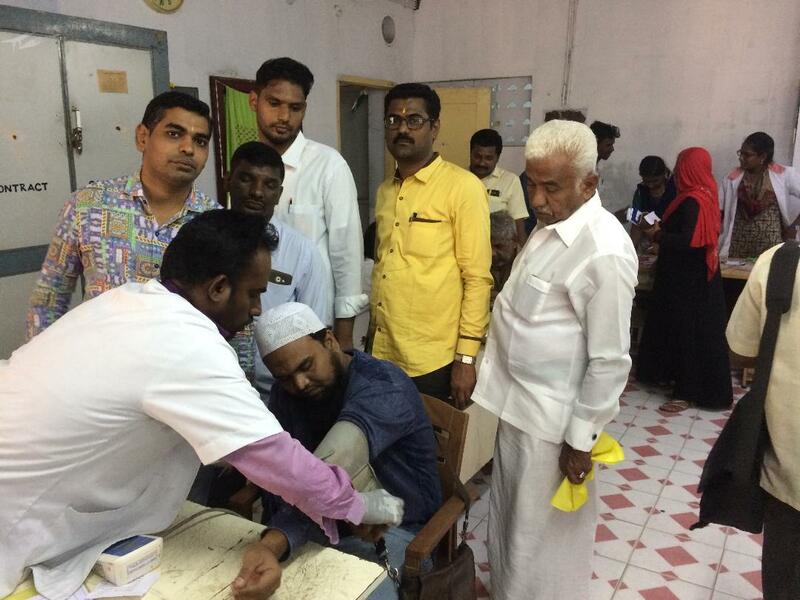 Conducted Free Diabetic Check-up camp for the underprivileged people. 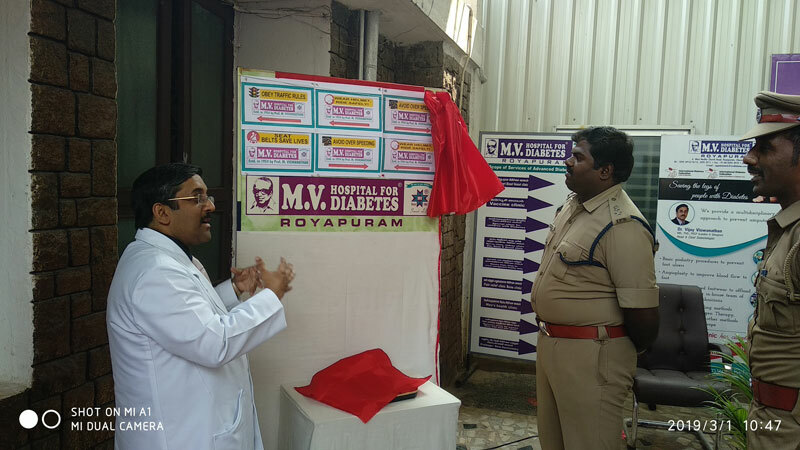 Free RTO Camp organized by MV Hospital for Diabetes on 08 Feb 2019 As a part of "Road safety Awareness week” throughout the state, M V Hospital for Diabetes organized a camp in RTO Office at Puliyanthope. 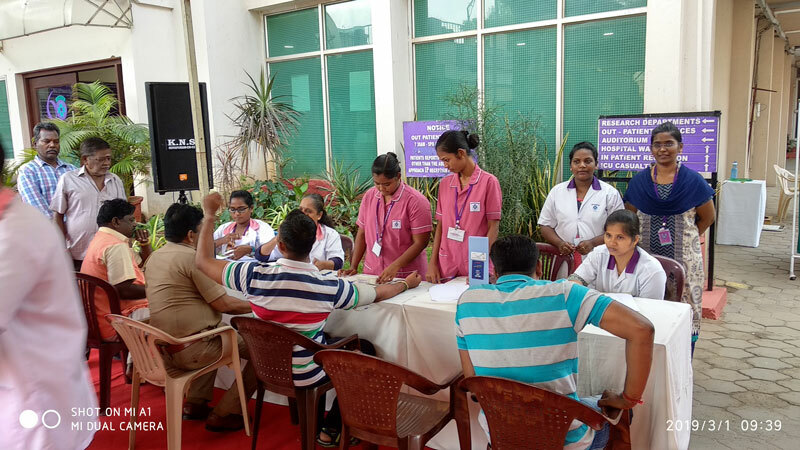 The participants were both the office staff as well as general population who were applying for license. 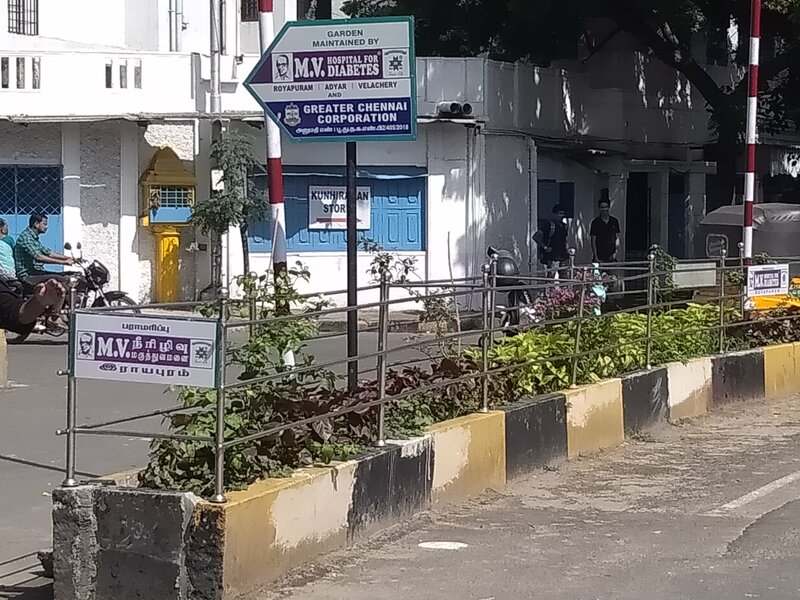 Started Upgrading West Madha Street, Royapuram by installation of CCTV Cameras along the Street Maintenance of the Median is also done by M V Hospital for Diabetes. M.V. 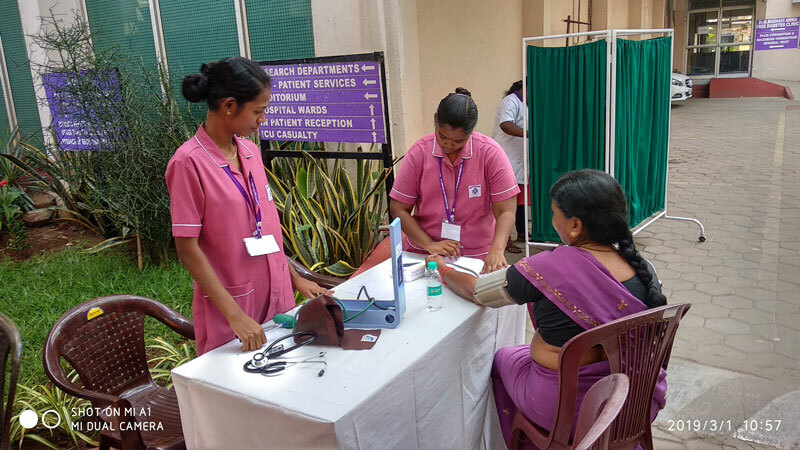 Hospital for Diabetes and its branches (Adyar, Velachery & Koramangala) conducted Free foot check up camp, an initiative for prevention of Diabetic Amputation as a part of International Day of Persons with Disabilities campaign from 03 -08 Dec 2018. 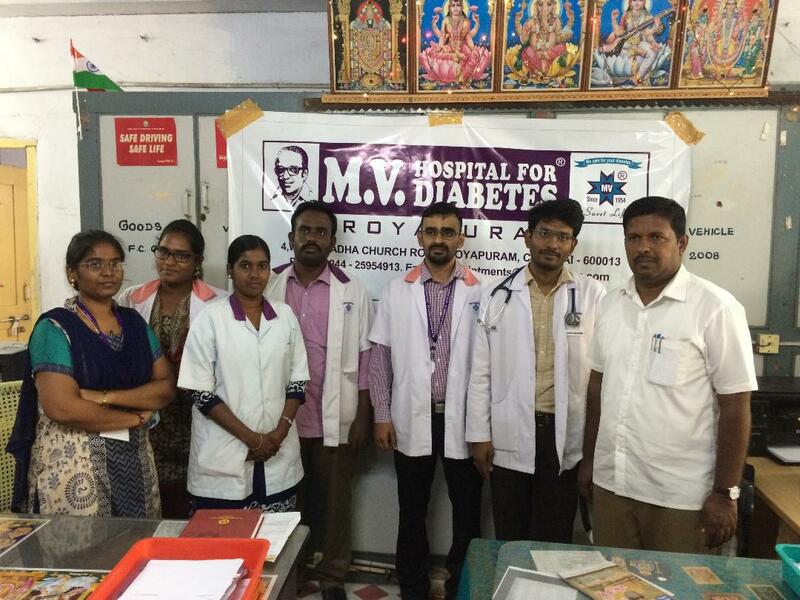 MV Hospital for Diabetes conducted a Free Diabetes check -up camp at a Remote area (Govt. 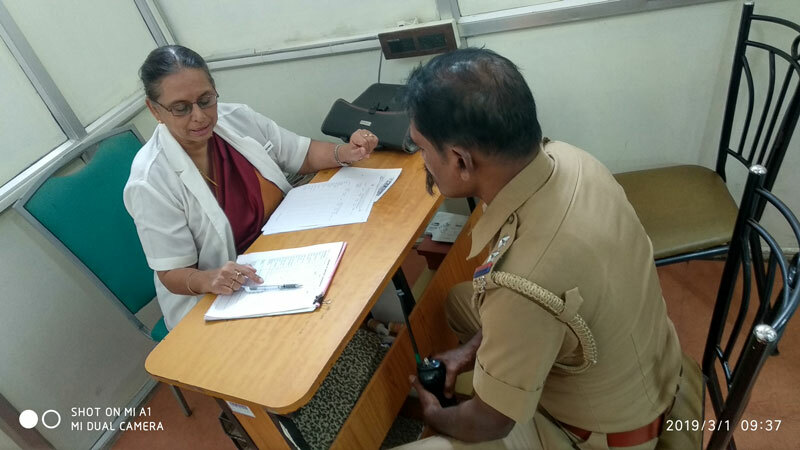 Adidravidar Higher Secondary School, Pattipulam Post, Mamallapuram, Kanchipuram) on 28 Oct 2018. Financial support provided to Freedom Trust on the occasion of Founders Day Celebration (24th Aug 2018), which provides artificial prosthesis to deserving amputees. Photograph attached. 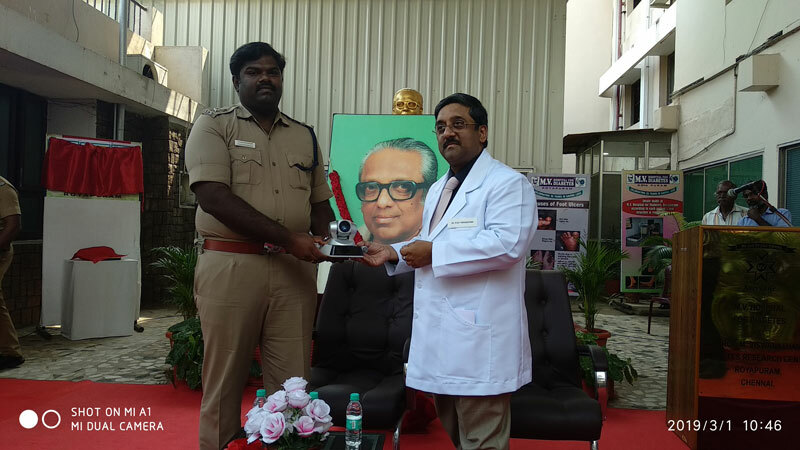 Dr. Vijay Viswanathan, Head and Chief Diabetologist, M V Hospital for Diabetes, handing over the Memento to Freedom Trust. INFOTAINMENT 2010 PROGRAMME FOR PEOPLE WITH JUVENILE DIABETES HELD AT THE AUDITORIUM OF THIS INSTITUTE ON SATURDAY, 29TH OF MAY, 2010. Photo(Left) Dr.Vijay Viswanathan, Managing Director is addressing the gathering at the concluding session of the Infotainment Programme 2010. 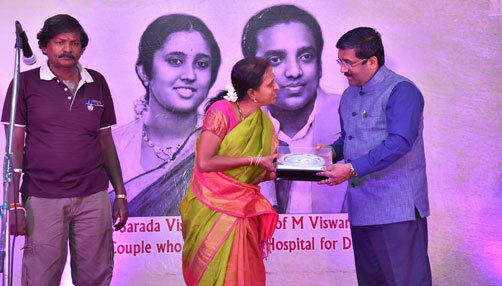 Film/TV actress Ms.Janaki Sabesh and Dr.Nagarathnam, Chief Executive of this Institute are seen on the dais. Photo (Right) Ms.Janaki Sabesh giving away the trophies to the winners on ‘Quiz Competition and Speech Competition’. 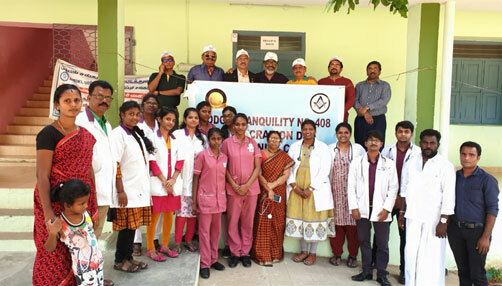 Dr.Vijay Viswanathan and Dr.Nagarathnam are seen in the picture. Prof. M.Viswanathan Gold Medal Oration & Diabetes Research Centre Gold Medal Oration Awards for the year 2009 were held at Sheraton Chola on Sunday 14th March, 2010 in the august presence of distinguished luminaries from various walk of life. The orations were attended by more than 150 doctors. 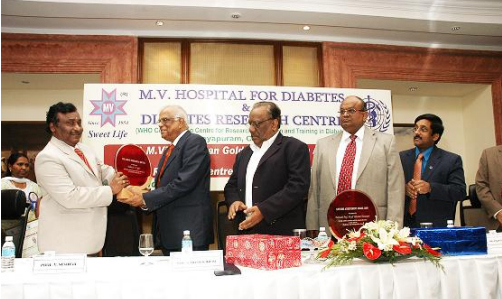 Scientific committee of the Diabetes Research Centre every year select eminent doctors to confer on these awards. 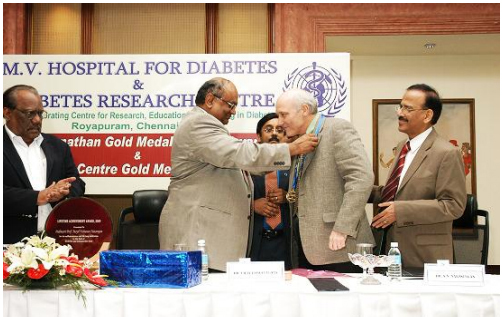 Prof. M.Viswanathan Gold Medal Oration award for the year 2009 was conferred on Dr. Michael M.Engelgau, Senior Public Health Specialist, South Asia Human Development, World Bank, Washington DC. USA. 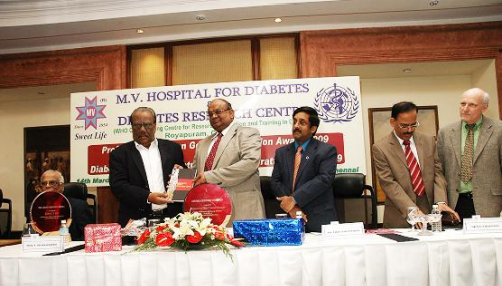 His topic was ‘Diabetes and Chronic Diseases in Indian and South Asia : Beyond the numbers’. 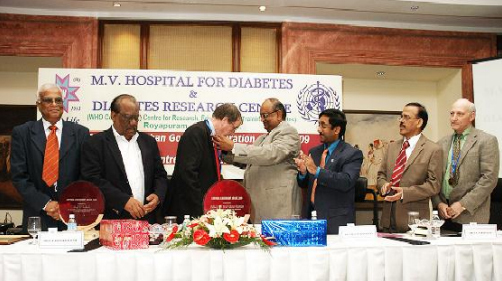 Diabetes Research Centre Gold Medal for the year 2009 was conferred on Dr. Rudolf W.Bilous, Professor of Clinical Medicine, Newcastle University, UK . His topic was “Newer Perspectives in Diabetic Nephropathy”. The scientific meeting was witnessed honouring two eminent scholars in Medicine with Life Time Achievements Awards 2009. Padmasri Prof. Mayil Vahanan Natarajan, Vice Chancellor, Dr.M.G.R Medical University, Guindy, Chennai and Prof. V.Seshiah, Chairman, Dr.V.Seshiah Diabetes Research Institute and Dr.Balaji Diabetes Care Centre, Chennai. Prof. S. Thanikachalam, Chairman & Director, Cardiac Care Centre, Sri Ramachandra University, Chennai (2nd from left) releasing the revised Manual on ‘Socio Economics of Diabetes’ and the first copy was received by Padmasri Prof. Mayil Vahanan Natarajan, Vice Chancellor, Dr.M.G.R. Medical University (3rd from Left). 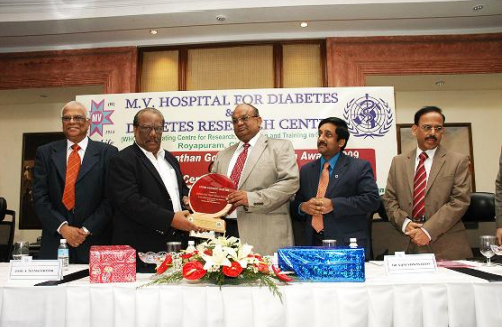 Dr.Vijay Viswanathan, Managing Director, M.V.Hospital for Diabetes & Diabetes Research Centre (4th from left) Dr.S.N.Narasingan, Dean of Studies (5th from Left) and Dr.Michael M.Engelgau, Sr.Public Health Specialist, World Bank (Extreme Right) are in the picture.